Seriously? OMG! WTF?Donald Trump spent today, of all days, golfing with Kid Rock - Seriously? OMG! WTF? « What to watch today: Doom Patrol, Last Man Standing and The Cool Kids! 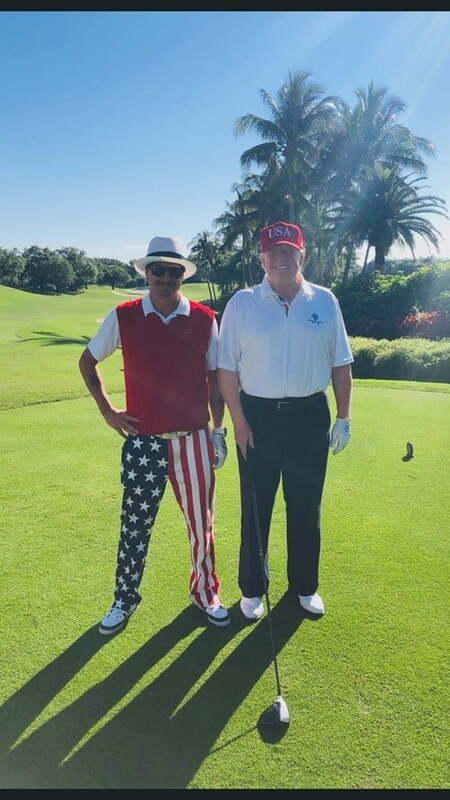 As the World awaits the findings of the Mueller Report, Donald Trump spent today golfing with Kid Rock. If that does not say what is wrong with America today, I do not know what does. I mean those pants are just so anti-American, louder than his music. It is enough to make Payne Stewart roll over in his grave. Having said that, if the report does not go Trump’s way, I am picturing an O.J. type scenario with the rocker fleeing with POTUS in a white golf cart while being chased by the cops on I-95 or the Florida Turnpike.